I'll be in Wolverhampton and the Black Country next week, going round some of the small brewery taps the area is known for. 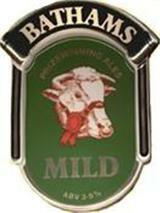 I'm especially looking forward to drinking some mild, including the Banks's Mild I drank quite a bit of as a student in Stoke in the early 90's, Bathams Mild in the Bull and Bladder and Sarah Hughes Dark Ruby Mild at the Beacon Hotel in Sedgley. As they say in the Black Country, terrar a bit! 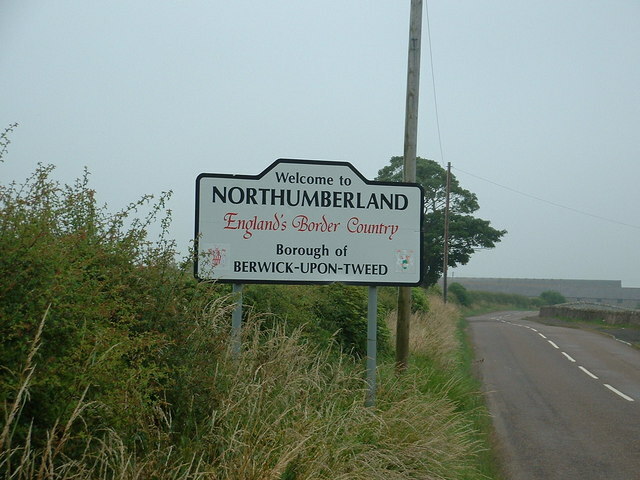 The Labour Group on Northumberland County Council has sparked a political row by arguing that the council should run an advertising campaign to attract Scottish drinkers when a minimum alcohol unit price is introduced north of the border. There is of course nothing the Scottish Government can do to stop incursions of Pictish proportions into the unregulated English alcohol market. But what if Scotland votes for independence? Will bootleggers be chased over the Tweed by Scottish sheriffs? Will Glasgow become the new Chicago with speakeasies selling cheap imported English booze? What's the point of pubs? I've just listened to this radio programme presented by the journalist Quentin Letts. Letts has being doing a series called What's the Point of..? This week he looked at pubs. I know it's supposed to be light-hearted but I was slightly irritated by his assumption that British pubs are in decline, it's because of the smoking ban and drink-driving laws and the only answer is to target families and serve food, an assumption belied by the successful new pubs he visited, including wet-led ones. I have no idea what pubs the Italian academic Letts interviewed has been drinking in but his paean to the classlessness of British pubs ("the banker and the shop assistant drinking together") is nonsense. Although Karl Marx is supposed to have joked that a revolution wouldn't start in Cologne because the bosses drank in the same pubs as their workers, British pubs have always been divided by class, both different types of pub (posh pubs, estate pubs) and inside the pub itself with the lounge/vault distinction. I used to work opposite two pubs: one was known and understood as the management pub where only supervisors and those aspiring to become one drank and the other as the workers' pub where you could go and talk about mangement without it getting back to them. Channel 5 has announced that they will be showing the new series of Dallas next month. I watched the first series of Dallas as a child - in fact, my tenth birthday party ended early so people could watch the episode where it was revealed who shot JR.
Dallas, based on the feud between rival oil barons the Ewings and the Barnes, is best watched as a comedy. Clive James mercilessly lampooned the ten-gallon hats and far-fetched storylines in the 80's and Larry Hagman as JR Ewing always seemed to me to be playing his character for laughs. He's back in the new series, the twinkle in his eye undimmed. I listened to the first episode of a new series of The Reunion yesterday, presented by Sue MacGregor. MacGregor always reminds me of the Scottish doctor in Tony Hancock's The Blood Donor, her name suggesting a descent from the Highland clans at odds with her cultured English tones, but she does a good job in getting people to recall events they were involved in. Yesterday it was English female pop singers of the 1960's Sandie Shaw, Helen Shapiro and Petula Clark talking about the music industry of that decade along with songwriter Jackie Trent and producer Vicki Wickham. I first remember Sandie Shaw singing Hand in Glove with The Smiths in the 1980's and in interviews since then I've always been impressed by her fesity self-confidence. She worked at the Ford Dagenham factory in the early 60's before becoming a pop singer and if she'd still been there I can imagine her being on the picket line in the 1968 machinist's strike, a key event in the still ongoing struggle for equal pay for women. The programme also highlighted the fusion of English working-class youth culture and African-American R&B and soul with singers including Shaw, Clark and Dusty Springfield performing and recording in the US and helping to showcase artists on the Atlantic and Motown labels here. The Trinidadian novelist VS Naipaul is eighty today. 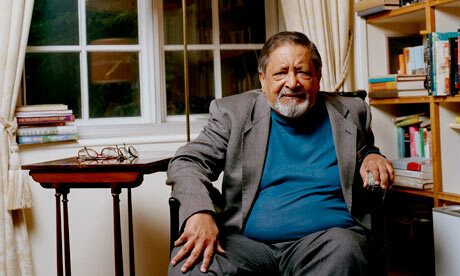 Naipaul is a bit of a cariacture these days, the English gentleman making reactionary remarks and pursuing literary feuds over whisky at his club, but I still find his 1961 masterpiece A House for Mr Biswas with its Dickensian range of characters as funny now as when I first read it twenty or so years ago. "Less than a year ago Daddy - George Elmer Edman, the celebrated traveller and explorer - left home to explore the Amazon. Well, I have news for you, kiddies. Daddy is on his way home. Yesterday he passed through Trinidad. In a coffin." I'm off to the Black Country for a few days in a couple of weeks. It's somewhere I've passed through on the train dozens of times but never actually been to. 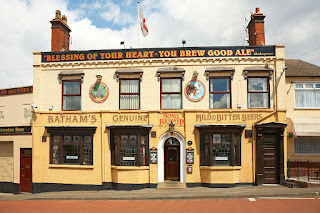 One of the main reasons I'm going is because of the small brewery taps like the Beacon Hotel in Sedgley and the Bull and Bladder in Brierley Hill. Michael Jackson and others have written about them but there's one question I've never seen answered. 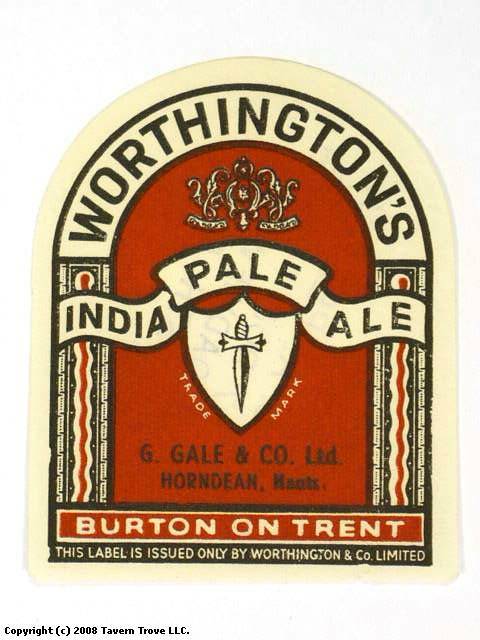 Why did small breweries and brewpubs continue to exist in the Black Country when they pretty much disappeared everywhere else in England in the twentieth century? I'd guess it's something to do with industry and geography but maybe there are other reasons too. I'm glad to see that the band Northern Uproar has reformed and is recording a new album. 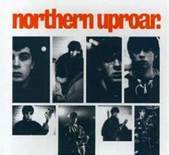 Northern Uproar formed on the Manchester indie scene in the mid-90's and were part of the same Britpop wave as Oasis. While they weren't quite as successful, they did get into the top 20 with this track. I've got a couple of personal connections with Northern Uproar. I went to the same comprehensive in Stockport a few years before the band members. They also used to drink in my local in the mid-90's. I remember being quite impressed just after they'd been on Top of the Pops when the lead singer bought a round with a £20 note and told the barman to keep the change - this was when Holt's bitter was less than a pound a pint. I'm still reading the chapter about bottling in A Bottle of Guinness Please by David Hughes. In the 1980's "smaller bottlers could not make money out of NRB's [Non-Returnable Bottles] and dwindled away...In the EU, all countries get Guinness Original 4.2% ABV and most are NRB except for Germany where recycling is important and Belgium, where John Martin gets Special Export 8% ABV." The idea behind returnable bottles is that the purchase price includes a deposit which you get back when you take your empties back to where you bought them. They are then returned to the bottler who washes and reuses them, reimbursing the retailer for all the deposits they've paid out. I just about remember R. White's returnable glass lemonade bottles from the 1970's. It's clearly a greener method than plastic disposable bottles which are though cheaper to make than glass bottles, especially the returnable ones that are slightly thicker. The stuff about returnable and non-returnable bottles reminded me of an episode in one of my favourite books, My Brother Brendan by Dominic Behan. Behan and his brother are drinking in McDaid's - a Dublin pub that, like many tourists, I've also drunk in - before heading off to a party with crates of bottled Guinness. "'How nice,' sang Bertie, 'only last week I took back a brigade of empties to that horrid Murphy's and the dreadful man merely said, "Thank you very much, sir, it's not often people bring them back on their own." I'm bloody certain it's not. Three jangling miles to the accompaniment of ragged children asking if I was giving balloons for rags." Melvyn Bragg presented a radio programme about Richard Burton on Saturday night based on diaries he was given access to when writing Burton's biography which are about to be published. Burton was born Richard Jenkins in South Wales in 1925, the twelfth of thirteen children of a coal miner. and died in 1984 as a result of heavy drinking and smoking. He was one of the first working-class actors to become a film star in the 1950's, ahead of the New Wave generation that included Alan Bates, Albert Finney and Tom Courtenay. His voice is unique, a rich mix of the South Wales valleys and Shakesperian bombast, as heard here reading Under Milk Wood by Dylan Thomas. The sight of horses dancing to music being awarded marks for artistic impression at the Olympics yesterday reminded me of Steve Coogan as Alan Partridge pitching monkey tennis to a BBC executive. It also got me thinking about what other events should be added to the Olympic programme. 1. Cricket: played at top level by a couple of dozen countries and watched by up to two billion people worldwide, its exclusion since the 1900 Paris Games is a scandal. 2. Darts: another sport with mass appeal overlooked by the aristocratic IOC. 3. 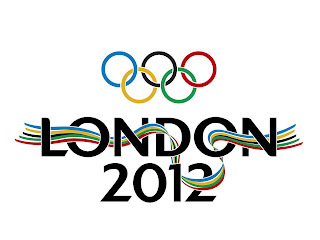 Ballroom dancing: if gymnastics, diving and horse dressage are allowed as Olympic events, why not ballroom dancing? The success of Strictly Come Dancing shows how popular it would be. 4. Sheepdog trials: as above, One Man and his Dog demonstrates the public appeal of a dog rounding up sheep. I'd watch it. An attempt seems to be underway to rehabilitate the reputation of the 1980's pop songwriting team Stock, Aitken and Waterman. 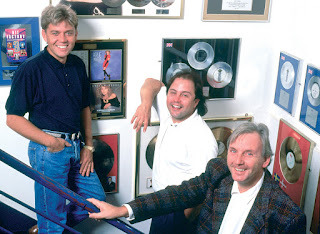 There was a documentary on ITV about them the other night, a compilation CD of their chart hits has been released and a reunion concert featuring the label's artists in Hyde Park last month was only cancelled because of the weather. For those lucky enough not to remember SAW's heyday in the late 80's, their roster included such god-awful singers as Kylie Minogue, Rick Astley and Sinitta. The label's Hit Factory studio was named in homage to Motown's Hitsville USA home in Detroit and located in a similarly gritty neighbourhood in Southwark, South East London. There however the similarities ended. In contrast to the sublime soul-pop produced by Berry Gordy and songwriters Mickey Stevenson, Smokey Robinson and Holland-Dozier-Holland, SAW represents a low point in British popular music history, a dark period between The Smiths and Oasis that was only briefly illuminated by the Stone Roses. The last thing we need is a SAW revival. I should add that I've got quite a lot of time for Pete Waterman himself, especially his enthusiasm for trains and cask beer. The physicist Bernard Lovell who died yesterday aged 98 was one of the pioneers of radio astronomy at Manchester University in the 1950's. The trams going along Oxford Road interfered with the equipment so they set up their radio telescopes at Jodrell Bank in the Cheshire countryside south of Manchester. It's about twenty years since I last went round Jodrell Bank but as well as the telescopes themselves I remember the planetarium - apparently now demolished - being pretty impressive too. According to this profile of him last year, Lovell "had the knack of explaining concepts of immense complexity as simply as possible; and he did it in a way that was never patronising, and never made his listener feel stupid." I'm still reading A Bottle of Guinness Please by David Hughes, a history of the famous Dublin stout brewery. Throughout the nineteenth century, Guinness sold casks to independent retailers and shippers who then bottled the beer. 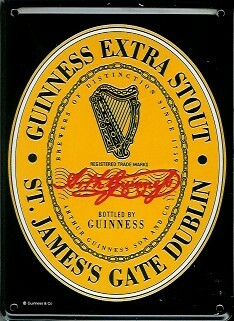 Guinness started bottling itself in the 1950's but carried on supplying independent bottlers. By then though the number had dropped, from 12,000 in 1904 to 1,400 in 1953. "The man is a long-retired creamery manager who is probably in his nineties and he bottles a barrel a month. The pub was closed when we called and we found him half-lying, half-sitting on a sort of couch in a room at the the back of the house. We tried to explain that there was no question of court cases or cutting off supplies and were interrupted by Mr Nolan who said that a Mr Gray of Guinness took away samples of his about twenty years ago and he assumed his stout was first class as he hadn't heard from Gray, good, bad or indifferent, since. He then inquired: "Is that fella living or dead?" At this stage his grandson arrived and Mr Nolan told us he is thinking of handing over the business to the grandson. We enquired when this might be and were told: "sometime between ten and fifty years from now." Sonny made a very suitable comment and for a moment we thought Mr Nolan was going to fight us as he attempted to remove his shirt." 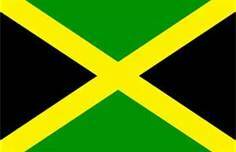 Fifty years ago today, on 6th August 1962, Jamaica became an independent country. Although Jamaica has had problems with its economy, crime and political violence, the period since independence has also seen some remarkable achievements for an island of just over two and a half million people. Usain Bolt winning the Olympic 100m gold medal last night is the latest in a long line of track successes. Jamaica has also contributed players to the legendary West Indian Test cricket team, including fearsome fast bowlers Michael Holding and Courtney Walsh. Jamaican music is enormously popular internationally with Bob Marley a global icon and ska and reggae influencing styles as diverse as punk, Two Tone and hip hop. What is now Guinness Foreign Extra Stout has been exported to the Carribbean since the early nineteenth century and brewed in Jamaica since the 1970's. I'll be raising a glass of it to Jamaica on its anniversary. Yesterday was international IPA (India pale ale) day, an event organised by US beer bloggers. 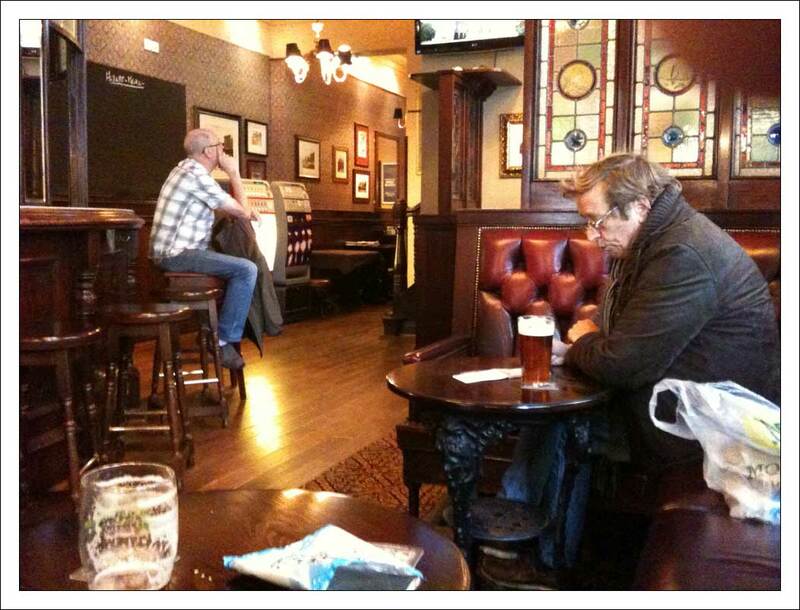 I celebrated the day with a few pints of Greene King IPA in a pub in Manchester. Some beer bloggers and homebrewers will tell you that Greene King is not a "true IPA" because at 3.6% abv it's not's strong enough. Martyn Cornell on his Zythophile blog comprehensively debunks that and the other myths about IPA. 1. 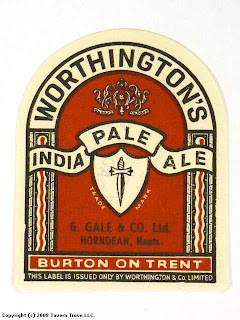 Bitter, India Pale Ale and pale ale are synonyms. I defy anyone to show that historically they are different styles of beer. 2. there is no such thing as a Black IPA. The clue is in the second word, "pale". If you want to brew or drink a dark, hoppy beer, call it something else. 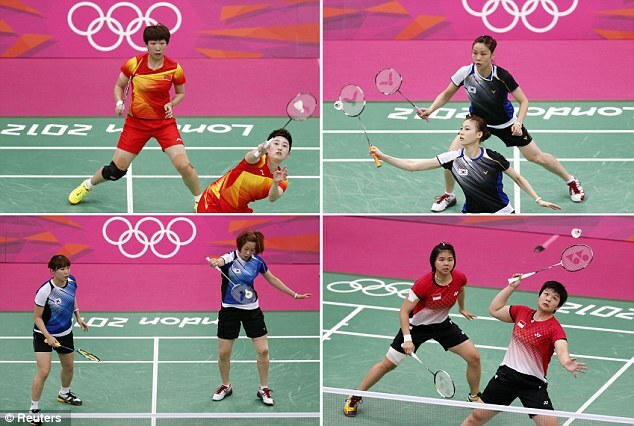 I'm glad that the Chinese and South Korean badminton players who tried to lose because they'd already qualified for the quarter-finals and wanted an easier draw have been thrown out of the Olympics. 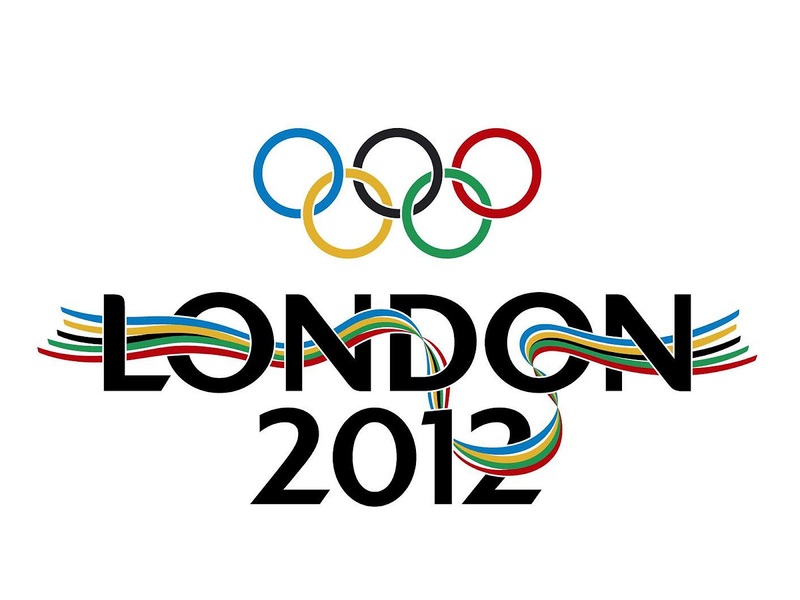 The organisers of the London Games should also refund the tickets of the spectators who had to witness it. The incident reminded me of the one-day cricket match in the late 70's between Somerset and Worcestershire when Somerset declared on 1 for no wicket in order to lose by a lesser margin than Glamorgan and thus qualify for the next round of the competition. The Test and County Cricket Board rightly expelled them for having breached the spirit if not the laws of the game. I've heard some people compare what happened in the Olympic badminton with football clubs putting out weakened teams in Cup competitions or athletes not giving it their all in heats because they want to save their energy for the final. I think the difference is that at least there spectators get to see what they've paid for. The Chinese and South Korean badminton players might like to think about on the plane back home, although the South Korean coach's retort that "The Chinese started this. They did it first." doesn't give you any hope that they actually will. One of the first albums I remember buying as a teenager was The Housemartins' London 0 Hull 4. The Housemartins combined witty, thoughtful lyrics with left-wing politics. They actively supported the Labour Party Young Socialists which I joined in 1987. It's good to see that twenty-five years on lead singer Paul Heaton still retains both his wit and left-wing politics, telling an interviewer that when he was on Question Time "I was asked whether I agreed with the House of Lords being closed, and with the abolition of hereditary peers, so I said, ‘Give them five minutes’ notice and blow the building up’." 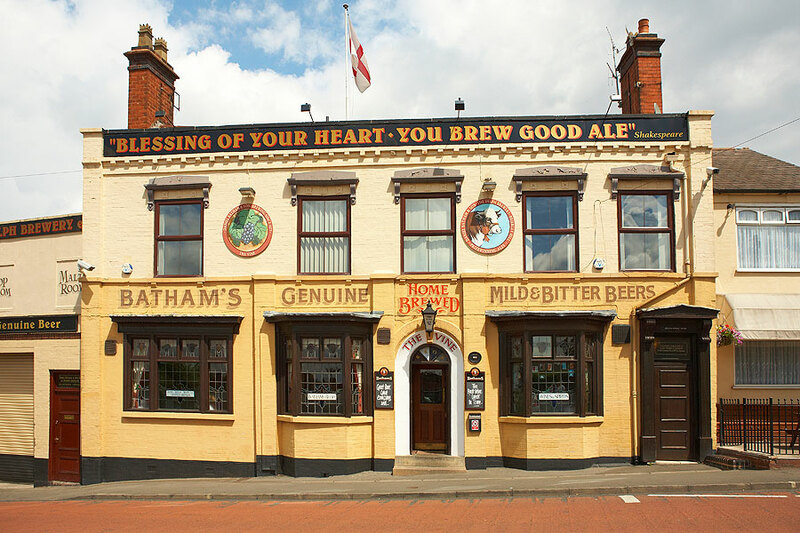 Heaton also deserves respect for having bought The King's Arms, a large Victorian pub in Salford, in order to save it from redevelopment.